A couple of clients have recently been approached by seemingly reputable companies claiming that their domain registration is running out. The costs are usually around the $200 mark and the domain name is usually name.com instead of name com.au. Please check with your hosting company and keep a record handy of where and who you registered your domain name with. These scams have been running for years and don't appear to be going away soon. Why would they when people keep paying them piles of cash? We occasionally get asked to produce cost-effective video to help sell a product and it's benefits. This recent example was produced in-house, with the script written by David Bateman and the voice over by me. (The client had stage fright and decided against the original interview idea). They loved the result it and it's a great way to explain how the product works when he can't get in front of a prospect. If you are having trouble with Outlook's rendering of images in email signatures making them blurry, then make sure you are using images at 96 dpi not 72 dpi. That's pretty much all there is to this annoying issue. Full details on how to fix this problem can thankfully be found here. Redesigning your website is part of staying up to date with trends, technology, or the latest search engine algorithm. But it's not just a matter of rejigging, adding, subtracting, refuelling, lighting a match and yelling LAUNCH! We'd like to thank all our clients, whose work makes it possible to donate on a monthly basis to charity. Redkite is an obvious choice for us and a wondeful support system. Where have we been and what have we been doing for the last 3 months? We've been flying flat out on a wide range of projects from print to online. Well, we've added a few more strings to our services, that could really help your business. From site upgrades, corporate spring-cleans e-newsletters, new blogging platforms, and of course more mobile firendly sites. From April the 21st, Google will make changes to the way it ranks sites, based on their mobile friendliness. Should you worry about your site? If your customers/users mainly browse your site from a desktop PC, then little will change. However, if your customers/users are using mobile devices to view your site, then this change to Google's algorithm could have a dramatic and negative effect on your rankings. Once again, Joomla! has been recognised for the great CMS that it is. It was great to see an article regarding the oversell of social Media for business marketing in a recent article in Tradetalk - a newsletter by the Australian Industry Trade College (AITC). Extract: Professor Mark Ritson, University of Melbourne & Melbourne Business School. Social Media is the greatest overselling in Marketing History. When Kitestring is contracted to create a logo for a client, we strongly recommend adding a logo guideline or 'Style Guide'. Style guides are most relevant in medium to large organisations as it is harder to manage or police the use of the logo in a large organisation. Over the past couple of years, during training on clients websites and exchanging WORD files, I've noticed that some are unaware of the use of some very useful keyboard strokes. The best thing is that these rules apply to almost any program or web editor. 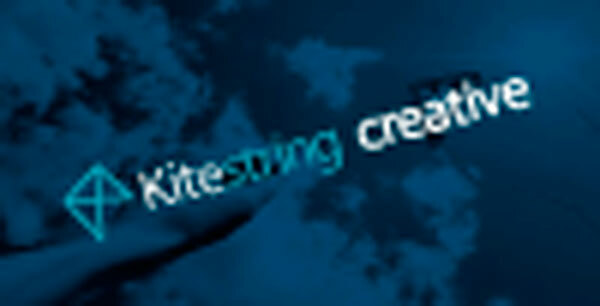 A recent Kitestring client is The Links Pet & Canine Aquatic Centre. They required a new website, support material and advice on everything relating to marketing their business. This is a job that I'm very proud of. Red Suit Advertising agency asked me to take on this project some years ago and it presented a unique challenge. I have been on the FlyLife team as designer for the print magazine for a number of years and was recently asked to look at a major renovation to the website. The site is now mobile friendly, has a content management system and includes an e-commerce platform. The Joomla! project has announced the end of life for Joomla 2.5 on Dec 31, 2014. That means all Joomla 2.5 websites will not receive any updates including bugs and security updates.